Nice review by Jackie Wullschlager in the FT (26-7 April 2014) about a new monograph by Judith Zilczer on painter Willem (Bill) de Kooning's life and work. I have always found his 'Woman' series challenging. Apparently they almost didn't happen but an 'extraordinarily fortunate' visit to his studio by a critic saved what was to become the first of his enrage' series from the dustcart. He had a colourful life. In love with Westerns he stowed away on a freighter in 1926 from Rotterdam to go to the US and eventually, through his friendship with Arshile Gorky, became part of that amazing New York post-war painting scene. The book gives a lovely anecdote that sort of sums up the best and worst of those times - as told by Robert Rauschenberg: at a party in Franz Kline's over-warm apartment Jackson Pollock 'looked at this guy and said, 'You need a little more air' and ... punched a window out with his fist." His breakthrough painting, 'Attic' was initially to be called 'Interior' but his wife Elaine insisted that, 'No husband of mine is going to call a painting 'Interior'. Later he moved up to the swanky East Hampton end of Long Island and made landscapes with 'undulating colour chords'. Emile Zola defined art as 'a corner of nature seen through a temperament'. 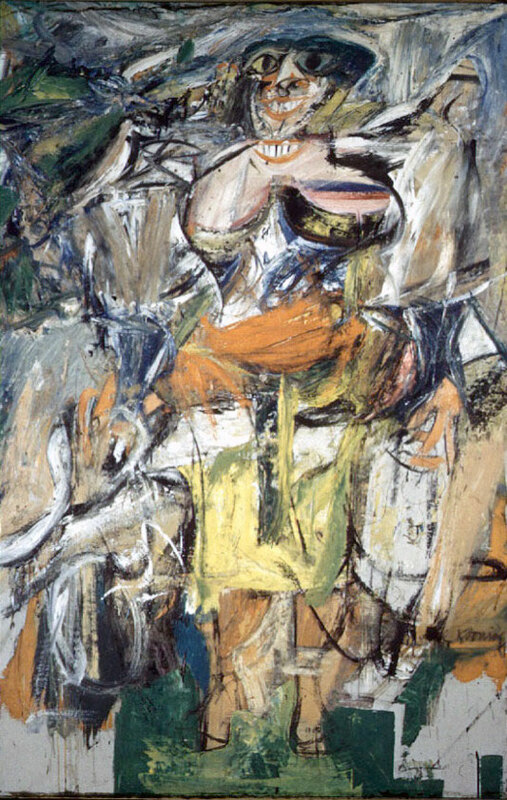 Zilczer suggests De Kooning's art did the opposite: his mission was 'to create visions of a temperament seen through nature.' This he did for a career spanning 60 years. The book's called A Way of Living:The Art of Willem de Kooning (Phaidon) and sells for £60/$100. For an interesting analysis of the way art auctions work as very imperfect markets see this excellent article by John Gapper in the Financial Times.